Pupils raised money for Red Nose day this year, by dressing up in red. Some children even made their own Red Nose Day t-shirts and decorated their hair with red spray. 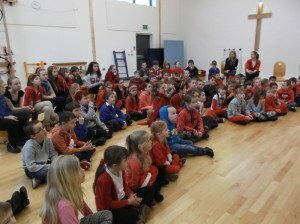 In a special assembly, the pupils found out about how the money is used to help children around the world to receive an education.